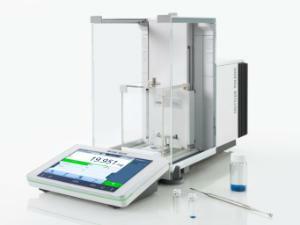 The next generation of Micro-Analytical weighing has arrived. 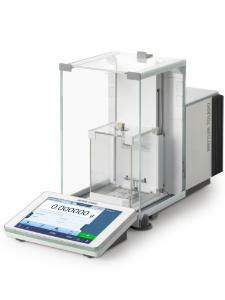 The XPR micro-analytical balances provide ultimate accuracy and quality assurance functions that are second to none. The XPR Micro-Analytical Balances, successor to the XPE Micro-Analytical Balances, offer capacity up to 52 g and boast a minimum weight of 1.4 mg (according to USP). This allows for small samples to be conveniently weighed out into larger containers or labware of different sizes - simplifying the weighing processes and avoiding the need for sample transfer. The extremely high accuracy and low minimum weight leads to considerable materialand cost savings. Features with 7" color touchscreen (glove compatible), ergoClip for direct dosing, SmartSens for touch-less door operation, SmartTrac dosing guide automatic draft shield doors, proFACT advanced internal adjustment, MinWeigh warning function and SmartGrid weighing pan. It has seamless process, tolerance profiles, efficient operations, adjustment and routine test history, change history function, user management and Active Temperature Control system (ATC™). Ordering information: Optional accessories make it easy to customize your XPR micro-analytical balance to perfectly fit your process needs.